Pond fish will add drama and brilliance to your backyard haven with their wonderful personalities and intriguing patterns and coloration. 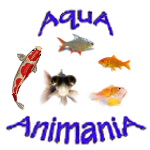 No one in Windsor/Essex offers a better selection of healthy pond fish than AquA AnimaniA! Plus, we provide friendly, expert advice and tips along with a vast selection of highly nutritious fish foods and live plants for every environment and budget! When thinking about pond fish for your freshwater pond, most people first think of a type of goldfish. But there are other fish that will also work well in a pond and will actually benefit the pond even more than goldfish that can grow well in a pond environment. AquA AnimaniA is your #1 local source for ponds, pond fish, pond plants and how to best take care of them so that they can adapt and thrive in your environment. 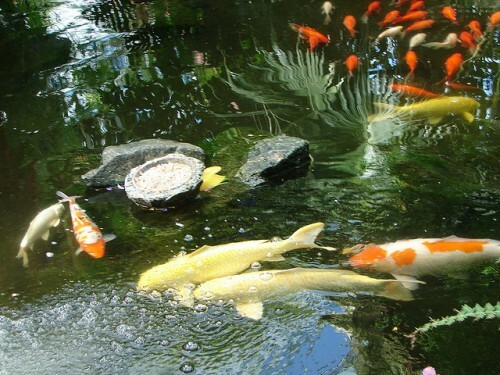 Some other pond fish that you might consider putting into your pond are Fancy Goldfish, Koi, Shubunkins, and Comets. 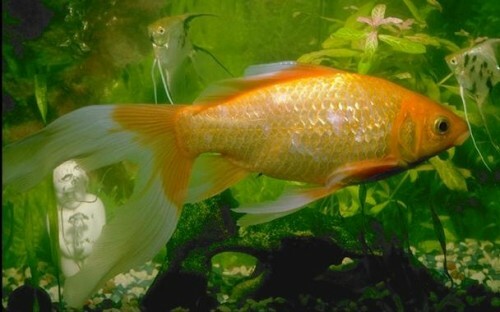 The term “Fancy Goldfish” refers to members of the Goldfish family specifically bred to enhance certain colors or body characteristics, such as the tail or head shape. Goldfish are members of the carp family (Cyprinidae) which includes more native members of freshwater fish in the northern hemisphere than any other group. Varieties of Fancy Goldfish include the Fantail or Ryukin, Veiltail, Globe-eye, Celestial, Bubble-eye or Toadhead, Lionhead or Ranchu, Black Moor, and Oranda. Each variety may share commonalities with other varieties but generally has at least one characteristic that sets it apart. 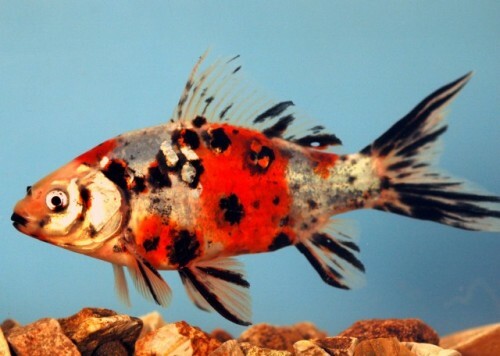 The Shubunkin is a type of single-tail goldfish with speckled or mottled colors of orange, white and black. They are good pond fish and will grow well in a pond with 180 gallons or more of water. The Shubunkins will grow in comparison to the size of the pond. They do like to eat roots of plants, so you will want to protect your plants by putting large rocks around the plants to protect them. Another type of pond fish is the Comet. The Comet is a type of goldfish that lives well in ponds and is a very resilient fish. These fish are very similar to the Shubunkin in that they will grow in proportion to their surroundings, and they like to eat the roots of the plants. With proper aeration, these fish will survive well year-round. The last type of pond fish is the Koi. Japanese Koi fish are specifically bred for both coloration and form. The ideal environment for koi is a pond of at least 1000 gallons with plenty of cover and adequate filtration. A koi pond is different from a water garden because koi limit the amount of plant life available to be grown. Simply put: koi eat some plants. Koi are very resilient fish that can winter in a frozen pond, provided a hole is maintained in the ice with an airstone or floating heater for gas exchange. Before you add any pond fish to your new pond, you will want to quarantine them for two weeks. You do this by following a few simple steps. First, you want to get a plastic container such as a children’s pool, or a large plastic storage bin. You will want to fill it with pond water and floating plants and put it into the pond. The water in the container will naturally adjust to the temperature of the pond water. You will need an air or water pump to filter and aerate the water, and you might put some netting over the top of the container to keep the fish from jumping out. Change the water frequently to keep it clean, (maybe twice a week) and then your fish will have adjusted to the pond water and you can transfer them to the pond after two weeks.